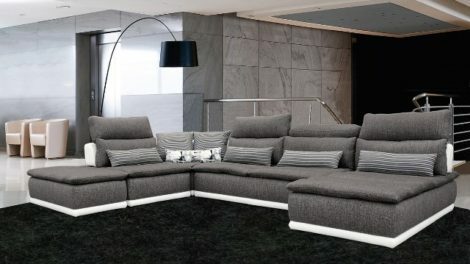 “The Lighthouse” Contemporary Grey Tufted Fabric Sectional Sofa w/ Adjustable Backrest is on SUPERSALE!!! DON'T MISS THESE PRICES! Now through Superbowl 2019, Feb 3, we have Super Discounted Prices on nearly all Sectionals and Sofa Sets!!! You know you want a new sectional or sofa and loveseat for Superbowl. Make your living room new. Now is the time to buy a new Sectional or Sofa Set at Savvy Living Furniture! We didn't even have these low prices for Christmas!!! Just follow this link to "Living Rooms" and look for the "SUPERBOWL SALE" tags on the products. The price saving will be directly in front of your eyes. 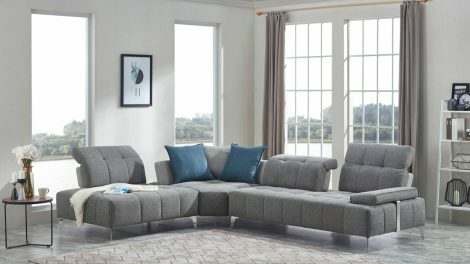 https://savvylivingfurniture.com/product-category/sectionals-sofa-sets/ With all the Tariffs being imposed prices may never be this low again. Remember, Sale Ends Superbowl Sunday 3-Feb-2019. SHOP NOW!!!!! Labor Day 2018 – Furniture and Mattress EXTENDED Super Sale ! Join Us for our 5th Annual Extended Labor Day Super Sale!!! From August 13 through September 10, 2018, we have special prices on your favorite Bedroom Sets, Kitchen and Dining Sets, Living Room sets including Sofas, Couches, Sectionals, Sleeper Sofas, Love Seats and Recliners. Huge discounts; 10%, 20%, 30%. up to 50% off!!! Remember our mattresses are the finest quality possible, "best in industry" warranties, made with “green” premium materials including soy based foams to protect our environment, and most of our mattresses are manufactured right here in the U.S.A.! We offer the finest quality, best possible prices, and #1 ranked customer service (just read our Reviews). If you don't like shopping we love to shop for our customers!!! Just call or email us to let us know what you are looking for, we will do the shopping and our very best to accommodate your needs. What more can we offer you? (888) 668-9009 or SavvyLivingFurniture@gmail.com Visit our website today! Savvy Living at Savvy Prices!!! 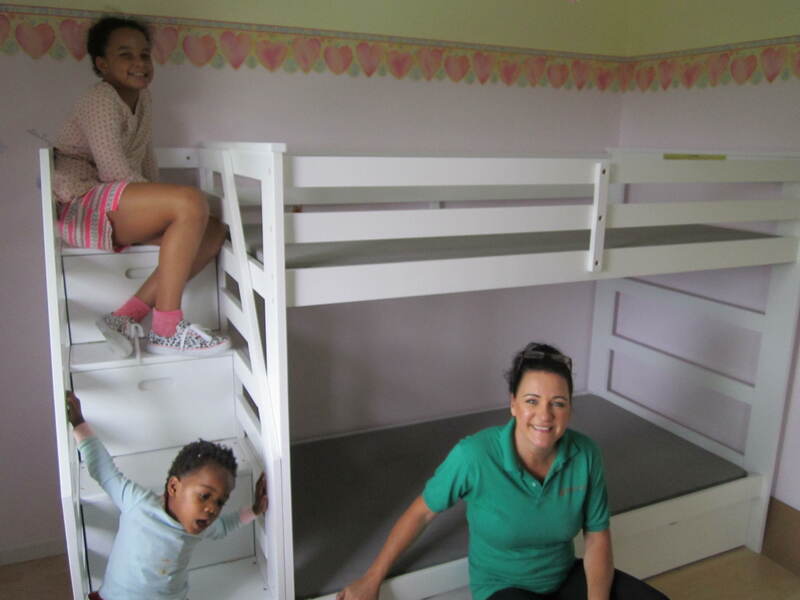 The Hailey's Twin over Twin White Bunk Bed with Staircase Storage and Trundle is an outstanding compliment to your children's room. 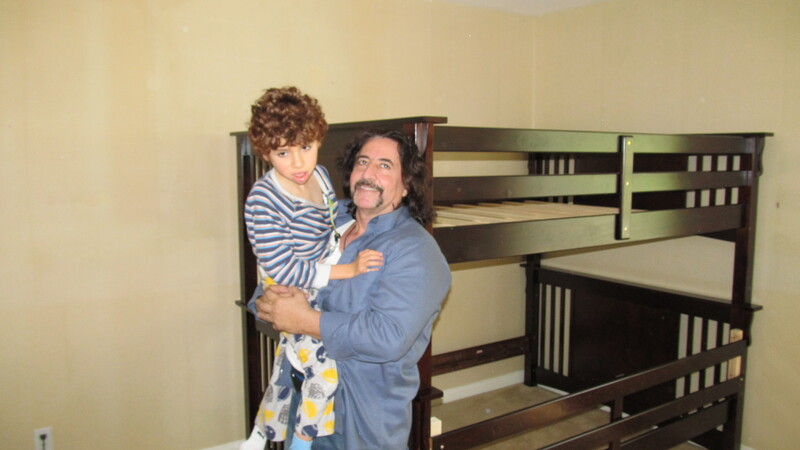 Here you see JJ Ermark with the Arklay kids enjoying the gorgeous, strong, new bed in their room. 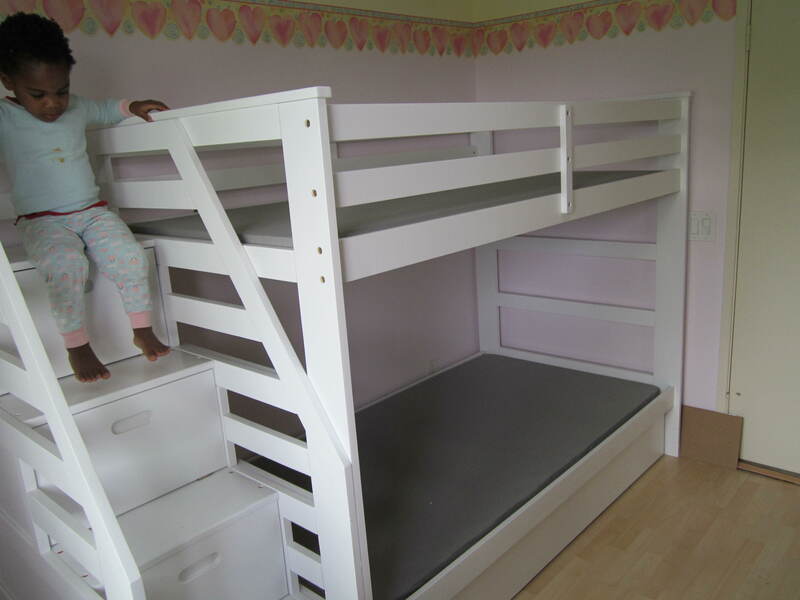 The Hailey's Bunk Bed is a quality solid wood bed as are ALL the bunk beds at Savvy Living Furniture. 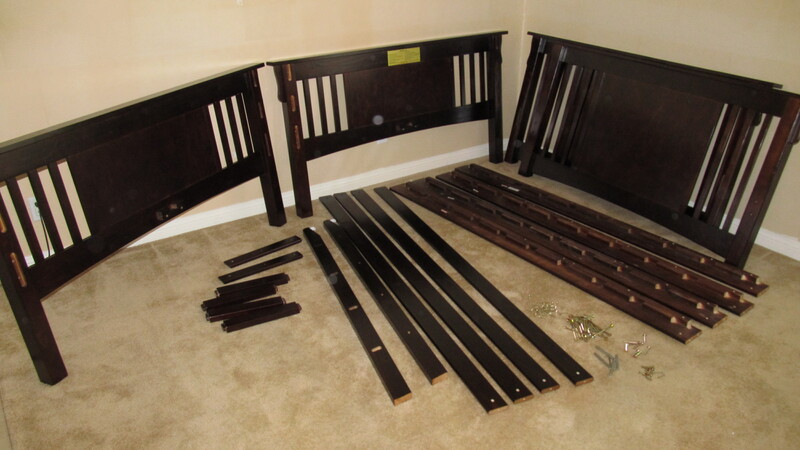 Before we list any furniture on our website we ensure it is comfortable and well-built. In short, we do all the research for you to ensure you only receive quality products with the finest customer service. Don't waste your time researching, we have already done all the work for you. If you shop Savvy Living Furniture you know you have a quality product at the lowest possible prices!!! Visit our website and schedule your delivery today!!! SHOP THIS WEEKEND FOR OUR CHILDREN'S FURNITURE SUPER SALE!!! 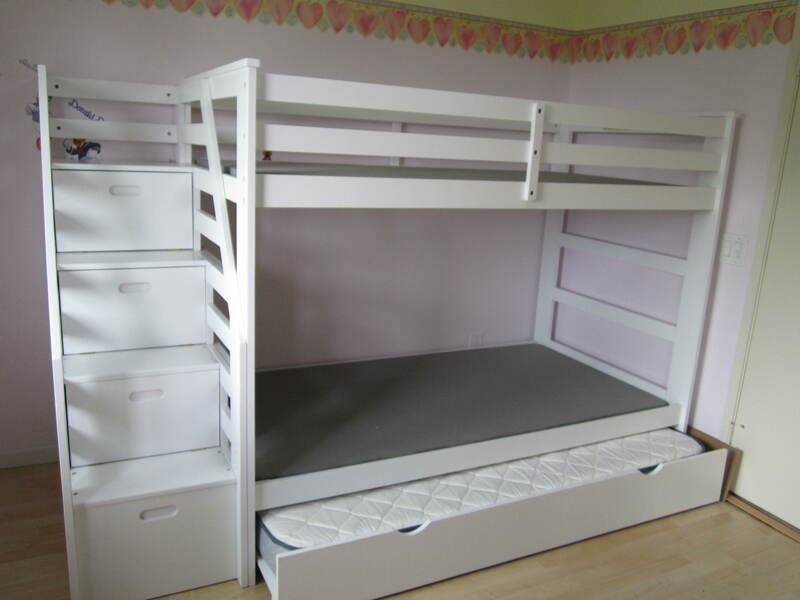 BUNK BEDS, TRUMBLE BEDS, BED SETS ALL ON SALE FOR YOU CHILD and YOUTH. GET GREAT DEALS FOR YOUR KIDS NOW!!! SUPER SALE BEDROOM SET WEEKEND!!! Don’t leave children in Hot Car! Hi Everyone! Summer in Southern California can be very hot. Its the end of July and already several children have died being left in cars, that got too hot. It is much hotter inside a car than outside. A child's internal organs may stop working at 120F. Yesterday a 3 yo was left in the car and died. Mom and Dad unloaded the car full of groceries, in the front of their house, and forgot the child. It only took an hour. Most of the time the parents are not being stupid just forgetful. In todays busy world it's not difficult to forget something as important as a child!!! Suggestion; Leave yourself reminders about your children in the car. Same goes for your pets too! 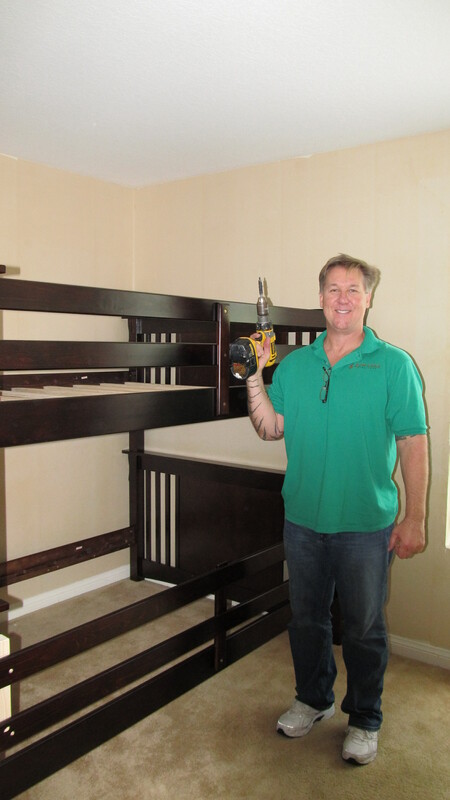 Thanks for reading Savvy Living Furniture!!!! Salinas 3- Piece Recliner Sofa Set. All Power, All Leather! Available in either Vibrant Black or Coffee Color. Only 10 sets remain as of the date of this posting, so buy now and save big!!! Previously $2478 now only $1699 while supplies last!!!! !